Rochester Contemporary Art Center will open its ninth iteration of the annual 6x6 exhibition this weekend. 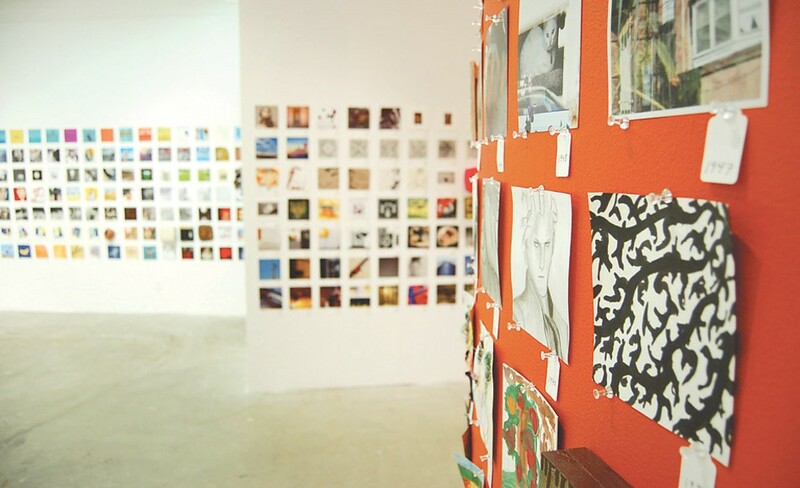 A crowd-sourced exhibition, 6x6x2016 features thousands of artworks, all six inches by six inches in size, exhibited anonymously both in the gallery and online. The art contributions are made by celebrities, local and international artists, designers, college students, and other community members. Every work for sale at $20, with the artist being revealed only after its purchase. Sold out artists will have their names revealed online on July 1, and all proceeds benefit RoCo. 6x6x2016 is currently up as an in-gallery preview through Friday, June 3. An opening party and artwork sale will be held Saturday, June 4, 4 p.m. to 10 p.m. (purchasing starts at 8 p.m.). 6x6 will be on display through July 17; normal RoCo hours are Wednesday through Sunday, 12 p.m. to 5 p.m.; open until 9 p.m. on Fridays. Tickets for Saturday's party are $8 for members, and $12 general. roco6x6.org.